Ducati enthusiasts and fans alike from all over the world will congregate at Ducati Island, the place to be during Austin’s MotoGP weekend. As part of race day programming, Ducati Island will offer the ultimate Ducati experience, featuring the 2018 Ducati lineup at COTA’s famed Velocity Lounge, test rides, Scrambler Road Trip tour bus, team appearances, meet and greet opportunities with executives, and more. A new location for Ducati Island has been established to amplify race day thrills with new activities for attendees. Three-day Ducati Ticket Packages go on sale today and can be purchased at bit.ly/DucatiIsland2018. Premium accommodations and seating are just the start of the exciting Ducati Ticket Package, which also includes a Ducati-Only Parking pass, VIP pit lane walk, Ducati gift voucher and, new for 2018, Ducati-Only Track Lap, karting ticket and access to the Velocity Lounge VIP area. Come test ride the Scrambler lineup, meet company executives and rub elbows with team racers, all of which will add to the exhilaration of admission to Ducati Island. 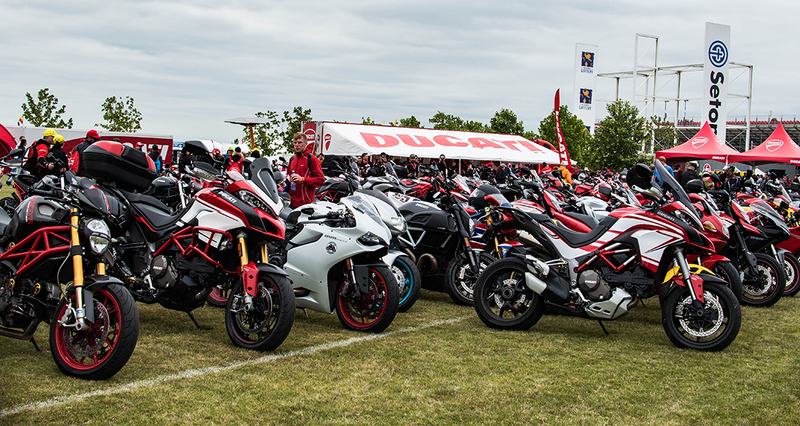 Ducati Island ticket packages start at $259 per person, for three-day access. The new location of Ducati Island near the Main Grandstands will provide the perfect vantage point of the start/finish line during an important year for the Ducati team, as MotoGP team riders Andrea Dovizioso and Jorge Lorenzo are poised to pilot their Desmosedici GP motorcycles to victory. The MotoGP Red Bull Grand Prix of The Americas takes place from April 20-22 at Circuit of The Americas. It will be the third race of the MotoGP season and is the only North American stop of the 2018 race schedule.